Peter Stamm grew up in Weinfelden in the canton of Thurgau the son of an accountant. After completing primary and secondary school he spent three years as an apprentice accountant and then 5 as an accountant. He then chose to go back to school at the University of Zurich taking courses in a variety of fields including English studies, Business informatics, Psychology, and Psychopathology. During this time he also worked as an intern at a psychiatric clinic. 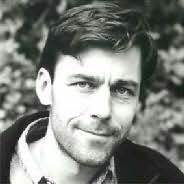 After living for a time in New York, Paris, and Scandinavia he settled down in 1990 as a writer and freelance journalist in Zurich. He wrote articles for, among others, the Neue Zürcher Zeitung, the Tages-Anzeiger, Die Weltwoche, and the satirical newspaper Nebelspalter. Since 1997 he has belonged to the editorial staff of the quarterly literary magazine "Entwürfe für Literatur." He lives in Winterthur.